The six biggest U.S. banks have never had a US$100 billion year. Until now. 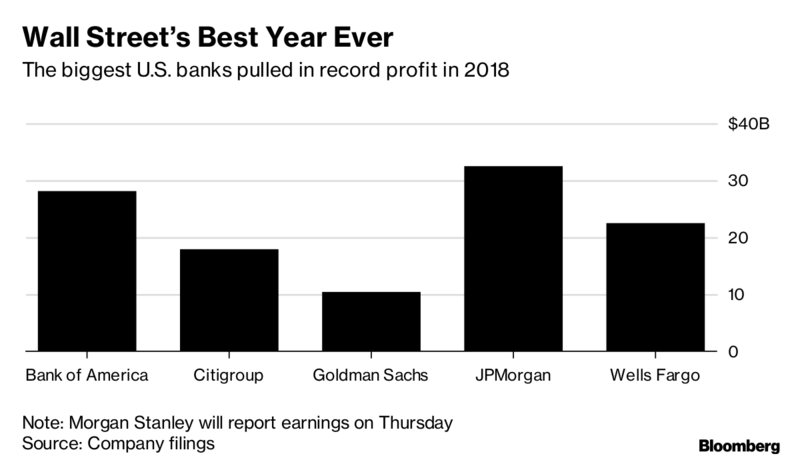 Goldman Sachs Group Inc., JPMorgan Chase & Co. and their peers have already reported more than US$111 billion of profit for 2018. Morgan Stanley will only make that number bigger when it releases its fourth-quarter results Thursday. The KBW Bank Index has gained 11 per cent this month, spurred higher by fourth-quarter results. The 24-member index plunged 20 per cent in 2018, the worst performance in seven years. The record haul will provide fodder for critics of the 2017 U.S. tax overhaul who argue that it’s a bigger boon for major companies than for the nation’s middle class. Jamie Dimon, JPMorgan’s chief executive officer, on Wednesday made the case that the tax cuts fixed an uncompetitive system that had held back small businesses. Within the banks, the benefits of the tax cuts are flowing more heavily to shareholders than their rank and file. 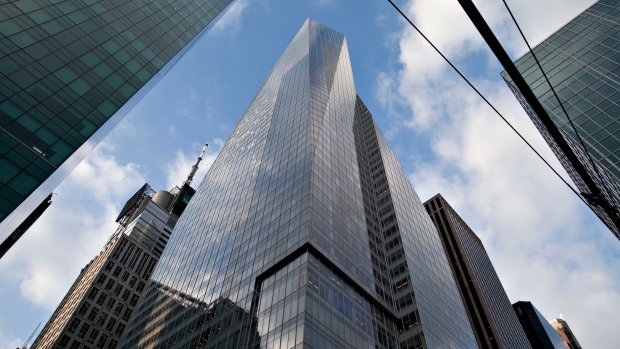 Profit at the five firms jumped 28 per cent from the previous high, while employee compensation expenses climbed just 1.8 per cent from last year. Washington may be less helpful to the biggest banks going forward. Wall Street critic Alexandria Ocasio-Cortez is headed to the Congressional committee that oversees the industry. "As I’ve said before, it’s People vs Money. We’ve got people, they’ve got money," the New York Democrat wrote on Twitter a few hours after Goldman and BofA reported their results. "There is work to do."